The internet is the best and the worst. Endless ideas? Check. Endless distractions? Also check. If you’ve ever fallen down the rabbit hole of brainstorming blog post ideas and then ended up watching cat videos, you know exactly what I’m talking about. 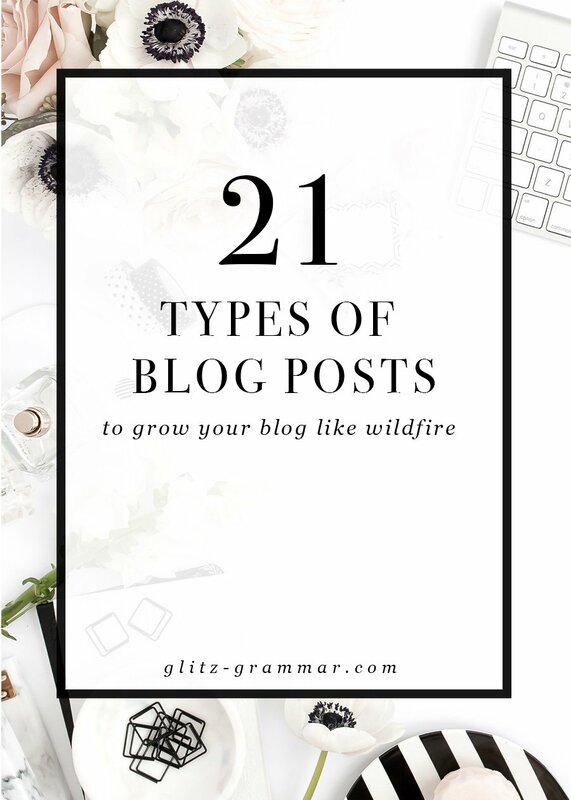 Here, I’ve rounded up the 21 types of blog posts you need in your arsenal, so if you’re ever out of blog post ideas you can quickly reference this guide to get your gears going again. No more falling into the Internet abyss. Just a quick and easy list of the most popular types of blog posts that you can reference again and again. In fact, you can even download this guide for free here! How-to posts are some of the most sharable types of blog posts you can write–people love learning how to do something new! So go ahead, show them. One of my most popular: How to write the perfect blog post. Speaking of learning something new, if you’re the crafty type, creating something, or can lead someone through a step-by-step tutorial of any kind, these types of educational blog posts are also a hit. Be sure to include plenty of photos–or even a video!–so people can clearly follow your tutorial Bonus: These types of posts do really well when monetized with affiliate links. We all have a love/hate relationship with Buzzfeed, but the fact is list posts are pretty addictive! These are usually pretty quick and easy to pull together, while providing plenty of value to your reader. Do people email you or comment on your social media asking common questions? If so you can put together an FAQ blog post. Profile someone in your industry or someone you admire for an interview post. The bonus with this type of blog post is that often your source will share it, which means your blog is getting seen by even more people! Share your secrets and your resources! No one wants to reinvent the wheel so share with your readers what’s worked best for you. Case in point: this post on The Ultimate List of Blog Tools. Bonus: These posts also do really well when monetized. 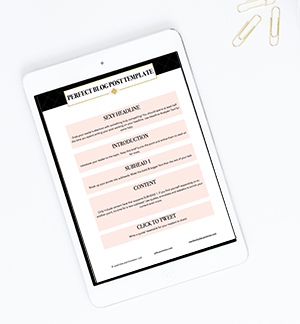 Everyone loves a checklist and this is a great opportunity to create a content upgrade (an incentive you give to your reader in exchange for their email address, like this one below). 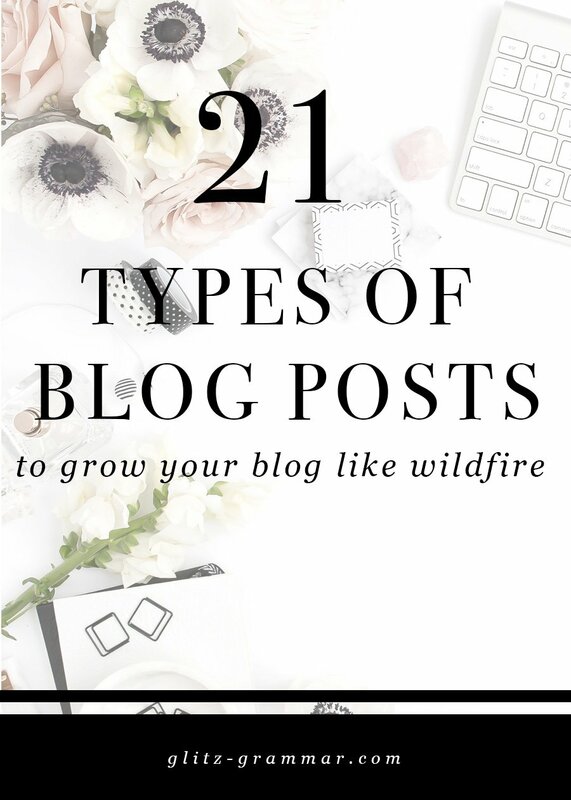 Grab the 21 types of blog posts printable + get weekly blogging tips straight to your inbox. Get personal on your blog, even if it’s a business blog, and show your readers how you do something. 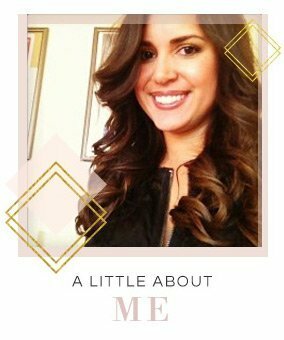 Maybe it’s a post on how you style your hair for date night or how you use social media to grow your readership. This is similar to the tutorial post but with a personal slant. If you are trying to monetize your blog with affiliate marketing, reviews are where it’s at. Just think about a new product you may be interested in and the first step you take before purchasing; I’ll bet it’s typing “Review of X,Y,Z” into Google. These posts should be really comprehensive and include pros, cons and your honest experience with the product or service. You should always be honest with your readers or they will lose their trust in you. You’ve heard it before and you’re going to continue to hear it: video is a fantastic way to grow your blog and reach a new audience. You can embed any YouTube videos you make and create a blog post with them! Transcribe the video below the post so that people not interested in watching can skim the notes. This is also great for your SEO! Inviting people to guest post for you is an easy way to add variety to your blog and continue to churn out valuable content. Not sure where to start when it comes to guest posts? Check out this guide on developing writer’s guidelines for your blog. A blog series is a brilliant way to grow your blog. Not only does it give you loads of content ideas but it helps engage with readers and encourage them to stay on your blog and continue the series. If you’re running a business, case studies are fantastic posts to share on your blog. They’re an incredibly powerful tool to help showcase your work and results. Reviews of products are one of the most popular things people search, and comparing similar products also ranks high on that list. If you have a product or service you’re reviewing, consider writing a comparison post where you help your readers differentiate between the leading competition. Sharing your income and traffic reports may feel personal, but people love to see concrete examples that show exactly how you got to where you got. Michelle from Making Sense of Affiliate Marketing and Pat Flynn from Smart Passive Income both share really popular income and traffic reports. Contests and giveaways hosted on your blog are a fun way to get new readers. You can host your own giveaway or partner with brands (and yes, charge them!) to help promote their product. It’s a win-win for everybody. Have some company news to share? Go ahead and blog about it! Whether you’ve just launched a new e-course or have some new additions to your product line, spread the word by sharing it on your blog. People love to see before and afters, and this can apply to so many types of blog posts! From transforming a space in your home to beauty makeovers to even showcasing the transformation of your new website, this type of blog post is really popular among readers. Blogging allows you to share your expertise, so take that one step further and create a guide for your readers. Maybe you’ll create a guide to the best date spots in the city, or a guide to launching a blog under $100, whatever it is this type of blog post is full of useful tips. Best of posts can be done two ways: round up your own “best of” posts or curate a collection from around the internet. The first may look like a “Best of 2017” roundup you do at the end of the year. Rounding up your posts in a collection like this helps build your internal links (which is great for SEO!) and showcases blog posts new readers may have missed. You can also do a “Best of” roundup curating news from around the internet, like this post on best free blog planners. Remember to email everyone you included in the roundup so they can share it with their audience, too! What are your favorite types of blog posts to write? Any that work particularly well with your audience? Nice Tips. Thank you for sharing.. Thanks for this comprehensive list of options. I’ve done a few, but it’s helpful to see what else I could do. Totally agree. My one list post, ever is my most shared and popular post by such a huge margin. It is 3 years old and it still brings people to my website. This is a good reminder of some options in the genre.